Call upon a classic look for the season with the bow muffler scarf & beanie hat set adorned with tiny knit bows. Perfect for gifting. 2 Piece Set with a knit bow motif. 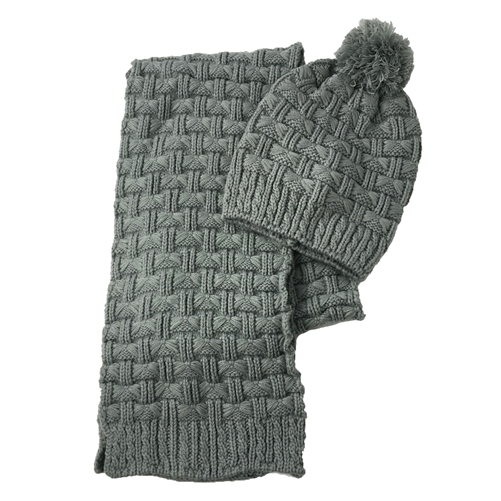 Beanie hat with pom pom topper. Ribbed edging.